If you live in Regina, you have wall cracks. Not all visible cracks in your concrete are a threat to the foundation of your home. That being said, it doesn’t hurt to call in a professional for a more thorough assessment. 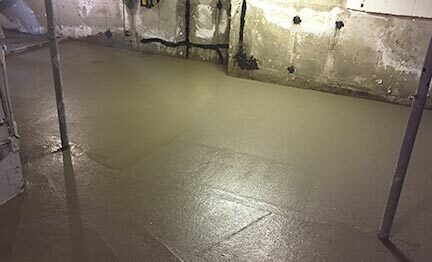 RSR Construction: Basement & Foundation Repair is your source for honest advice and free estimates designed to prevent costly future damage. If that slab needs to be modified in any way, RSR Construction has the tools and expertise to help. Whether you require wall cutting, curb cutting or floor cutting, our team is ready create the space your need. We will happily remove any residual concrete to ensure a clean and clutter-free environment. We provide a wide range of general construction services. Just give us a call and see what we can do. Read what some of our past clients had to say about us. If you have any questions about our range of services, don’t hesitate to give us a call or send us a message. Horizontal cracks can indicate that the structural integrity of the wall has been compromised. This can be caused by hydrostatic pressure or the freeze-thaw cycle. Melted snow or groundwater presses against the outside of the foundation wall causing these fractures. Pressure against the wall can be very strong. The most effective solution for foundation repairs is done from the outside. Excavating is performed to expose the outside walls. We then fill the crack with mortar cement and NP1 as well as a waterproof barrier such as Blueskin or other approved water seal material. Once the Blueskin or like material has been applied, a dimple membrane will be fastened. 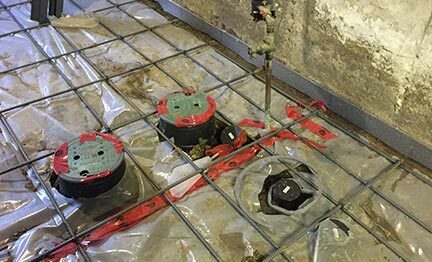 This membrane will prevent backfill material from touching the foundation walls and helps channel water away. If the horizontal crack is 3 to 4 feet below grade, it is usually the result of the freeze-thaw cycle.